Burglar alarm siren to be replaced with ice cream van tune – OK, not really! Yes, it was an April Fool. 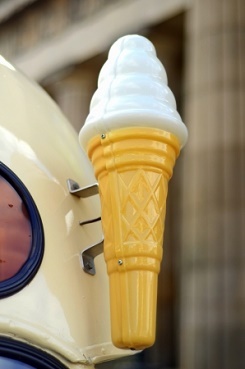 The blog we posted earlier today about changing burglar alarm sirens for ice cream van chimes was a tongue in cheek April Fool’s joke (see the original post here). We hope that you found it amusing but that said, we must be clear that we do take burglary very seriously and we think that the story does highlight the issue of faulty alarms, which is the main issue that creates apathy when it comes to responding to alarms. Too many false alarms dilute the effectiveness of a genuine alarm and can also be very annoying for neighbours. The frequency of alarms going off would be greatly minimised if people were more vigilant about maintaining their alarms regularly. An annual service will usually keep your alarm working well and make sure that the batteries are replaced when required. It will eradicate most false alarms and the fewer alarms people hear, the more likely they are to take those that do go off seriously. That said, an ice cream van chime would certainly get a response though you might have to stock up on Magnums to save disappointing a street full of ice cream lovers! If your business or house alarm could do with a service please give us a call on 0345 833 5543. We won’t expect an ice cream but a cup of tea might be nice! next Egg Hunt that Bagged a Burglar!